The year ended with a deluge of big news, reminding us of the risks of spaceflight and the thin margins between success and failure on the final frontier. 2014 was also a year of breakthroughs in the exploration of the solar system and the future of human spaceflight. The Spaceflight Now editorial team has ranked 2014’s five most important events in spaceflight. We invite readers to post their top five space stories in comments at the bottom of the page. NASA announced on Sept. 16 the selection of Boeing and SpaceX for lucrative contracts worth $6.8 billion to develop, test and fly piloted spaceships to ferry U.S. astronauts to and from the International Space Station by the end of 2017. The companies will work on separate space capsule designs capable of carrying up to seven crew members to low Earth orbit. Aerospace giant Boeing’s deal is worth $4.2 billion to fund work on the company’s CST-100 spacecraft, which will launch from Cape Canaveral atop United Launch Alliance Atlas 5 boosters and return to airbag-cushioned landings in the western United States. SpaceX, a rapidly-growing new entrant in the space industry, won a $2.6 billion contract to complete development of the Crew Dragon vehicle, a capsule that will take off from the Kennedy Space Center in Florida aboard Falcon 9 rockets. The innovative ship will likely return to Earth under parachutes on its initial flights, according to SpaceX officials, but will eventually conduct precision helicopter-style landings under rocket power. Boeing and SpaceX plan to have their spaceships operational by the end of 2017, ending NASA’s reliance on Russian Soyuz ferry craft to get astronauts to the International Space Station. Read our full story on the commercial crew contract announcement. Virgin Galactic’s SpaceShipTwo rocket plane crashed during a powered test flight over California’s Mojave Desert on Oct. 31, leaving one pilot dead and another seriously injured. Michael Alsbury, a 39-year-old test pilot for SpaceShipTwo-builder Scaled Composites, died in the crash. Scaled Composites pilot Peter Siebold was injured in the accident, which occurred moments after the space plane’s release from a giant carrier airplane 50,000 feet above California’s Mojave Desert. The crash was a major setback for Virgin Galactic, which aims to take well-heeled passengers on up-and-down suborbital flights more than 100 kilometers — about 62 miles — above Earth, the internationally-recognized boundary of space. The space tourism firm, founded by Richard Branson and headquartered in Mojave, Calif., is working on a second version of its SpaceShipTwo rocket plane, but federal investigators do not expect to complete their inquiry into the crash until well into 2015. The initial focus of the investigation centered on the premature deployment of SpaceShipTwo’s braking system, which may have led to the space plane’s breakup just a few seconds after it fired its rocket motor for the Oct. 31 atmospheric test flight. 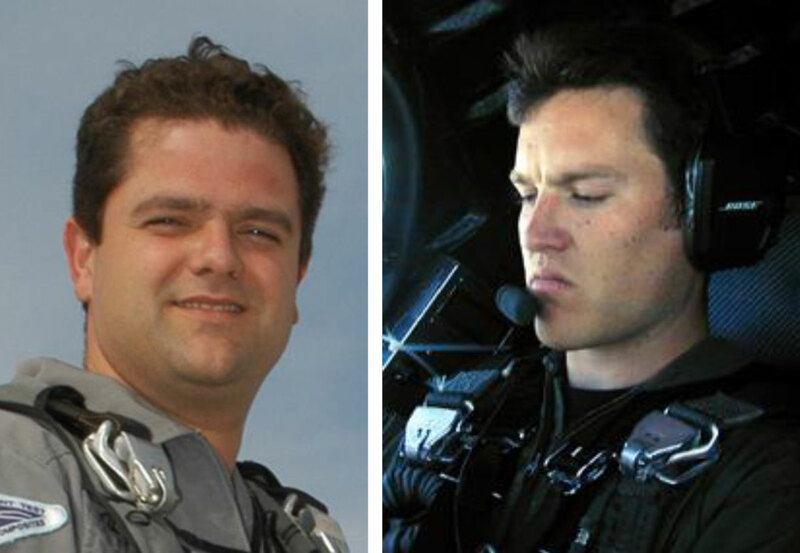 Read our full story from Oct. 31 on the SpaceShipTwo crash. 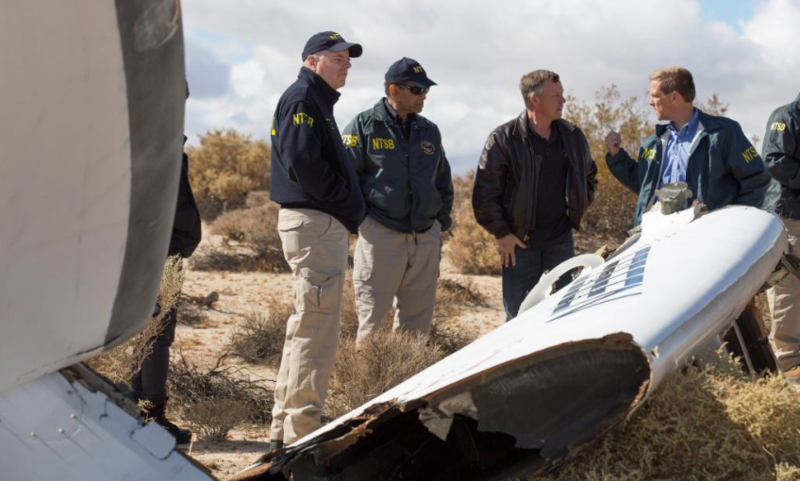 Check out our archive of SpaceShipTwo accident coverage. A cargo-carrying Antares rocket erupted in a ball of fire and fell back to the ground seconds after liftoff Oct. 28 from a launch pad on Virginia’s Eastern Shore, destroying an automated supply ship heading for the International Space Station in a deafening blast. The explosive rocket failure was a reminder that spaceflight is an unforgiving business, re-teaching a lesson bitterly learned by generations of engineers and scientists around the world. The mishap grounded the Antares rocket and Cygnus cargo craft developed by Orbital Sciences Corp., leaving the space station without one of its supply lines from Earth. The orbiting international research complex still gets provisions and experiments from SpaceX’s supply ship, Russia’s Progress logistics freighter and Japan’s HTV cargo carrier. Orbital Sciences engineers have traced the failure to the turbopump of one of the rocket’s AJ26 first stage main engines. Manufactured more than 40 years ago in Russia for the Soviet-era N1 moon rocket, the engine was exported to the United States in the 1990s to fly on American launch vehicles. 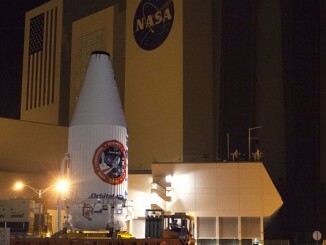 The rocket crash prompted Orbital Sciences to redesign the Antares rocket for another engine. 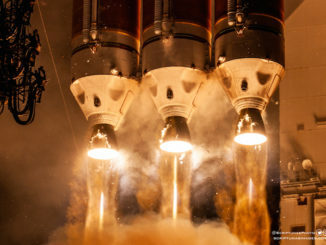 The company selected the RD-181 engine made by Moscow-based NPO Energomash, a new powerplant developed as a derivative of rocket engines used on the Atlas 5, Zenit and Angara launchers. 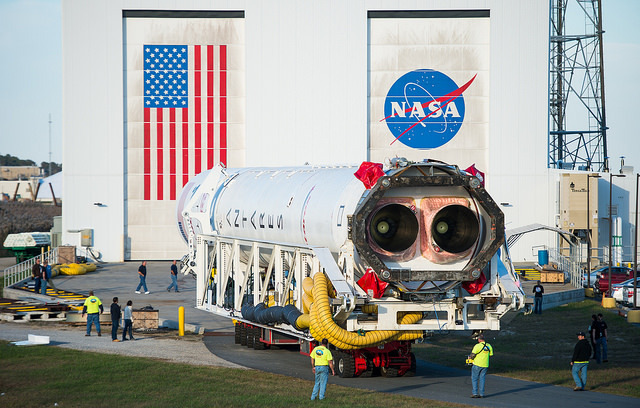 The upgraded Antares rocket will begin flying in 2016. In the meantime, Orbital Sciences ordered a United Launch Alliance Atlas 5 rocket to launch at least one Cygnus resupply mission to the space station in late 2015 to keep executing on the company’s $1.9 billion cargo contract with NASA. Read our full story from Oct. 28 on the Antares launch failure. Spaceflight Now’s Stephen Clark witnessed the rocket crash from a press viewing point about 2 miles away. Read his account. Check out our archive of Orb-3 mission coverage. NASA’s inaugural Orion spaceship set sail on a two-orbit, four-hour shakedown cruise around the Earth, leaving port at Cape Canaveral on Dec. 5 atop a United Launch Alliance Delta 4-Heavy rocket and its incandescent power. 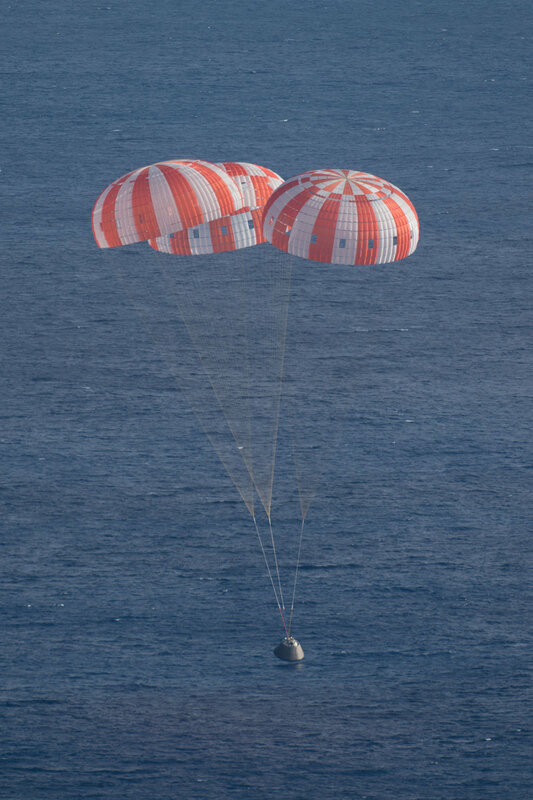 The 46,000-pound craft rocketed into its preliminary orbit, then received another upper stage engine boost that put Orion on a trajectory to travel 15 times higher than the International Space Station, some 3,600 miles, before re-entering over the Pacific Ocean and splashing down 600 miles southwest of San Diego. “From a waypoint over the Pacific Ocean, there’s your new spacecraft, America,” mission commentator Rob Navias said. It was a flawless Exploration Flight Test No. 1 for the first space-worthy Orion. EFT 1 was a compilation of checks of the riskiest hardware and events for the craft’s avionics, radiation protection, heat shield and landing systems before putting humans aboard. Orion is NASA’s deep space vehicle to take astronauts farther into the solar system than ever before, such as an asteroid and — eventually — Mars. Read our full story from Dec. 5. See spectacular launch photos from Orion’s Dec. 5 blastoff at dawn on top of a Delta 4-Heavy rocket. Check out our archive of EFT-1 mission coverage. Nov. 12 marked the climax in perhaps the most daring story of exploration in recent years, and the bewildering narrative all unfolded on a comet 300 million miles from Earth. The story had nearly everything: An unexplored alien world, two plucky robots named Rosetta and Philae, an untried maneuver requiring mastery of the laws of physics, and — maybe most importantly — a human drama. If you followed Philae’s descent and landing via the Internet, television or in person at the Rosetta mission control center, you were on the edge of your seat watching a tight-knit team of scientists and engineers stare at computer monitors, waiting for signs of life from the probe on the comet’s surface. The signal came, tears and champagne flowed, and scientists got down to work. It is an unlikely scene when you think of exploring new frontiers, but in 2014, this was the pinnacle of exploration. Philae’s story did not end with its celebrated touchdown. The probe’s anchoring system failed to engage, causing the lander to rebound hundreds of feet off the comet before settling in an icy crevasse nearly a mile away from Philae’s original aim point. Despite the rough ride, Philae transmitted long-sought science data back to Earth and took pictures of its otherworldly surroundings before falling asleep from lack of power. Scientists hope Philae will wake up and take more measurements when the comet moves closer to the sun in 2015. Before Philae, no spacecraft had ever touched down on a comet. The Nov. 12 landing came just three months after the mission’s Rosetta mothership arrived at comet 67P/Churyumov-Gerasimenko to give scientists their first-ever close-up look at the oddball world. The OSIRIS narrow-angle camera on the Rosetta spacecraft captured this view of Philae lander on its descent to the comet. The comet is as dark as charcoal, covered in ridges, cliffs and weird-looking boulder fields, and shaped like a rubber duck — with two lobes resembling a head and body. The European Space Agency’s Rosetta mission — nearly 30 years in the making — took a decade to spiral through the solar system and reach 67P for a year-and-a-half of detailed reconnaissance, allowing researchers to survey the icy world as sunlight heats up the comet and unleashes trapped water vapor and other molecules from unpredictable fissures and vents. The purpose? To learn about the tumultuous formation of the planets and the genesis of life. Scientists believe comets contain frozen materials left over from the birth of the solar system 4.6 billion years ago. 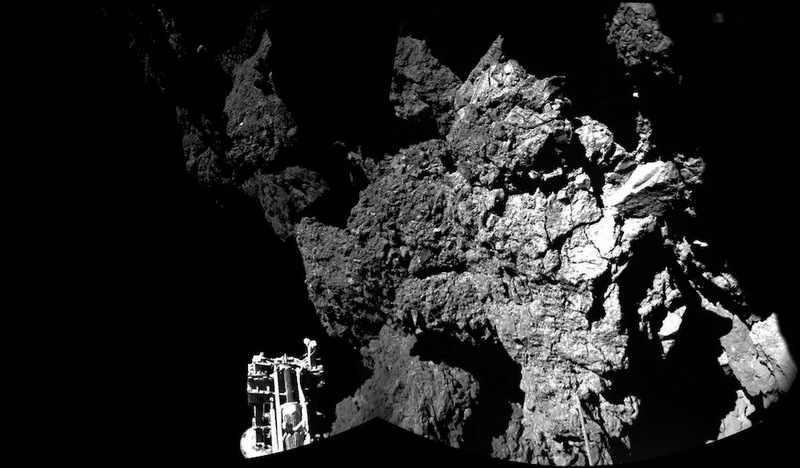 Check out our archive of Philae coverage.